Theory of a Deadman is a rock band from North Delta, British Columbia, Canada signed by Nickelback vocalist Chad Kroeger to 604 Records. The band also includes traits of other music styles, such as country, metal and more acoustic elements. The band's lead singer, Tyler Connolly, gave Chad Kroeger a demo tape of their music while at an after-show party. So far, they have a total of 4 top 10 hits on the Mainstream Rock Chart. The band also did the entire soundtrack for the video game, "Indigo Prophecy" / "Fahrenheit". 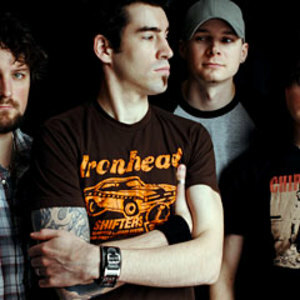 Theory of a Deadman's fourth studio album, The Truth Is.. was released on July 12, 2011. The Truth Is... (I Lied About Everything) Songfacts reports it was inspired by the divorce that Tyler Connolly went through in 2010.